Rat lungworm disease is carried by slugs and snails. Hawai‘i Department of Health photo. 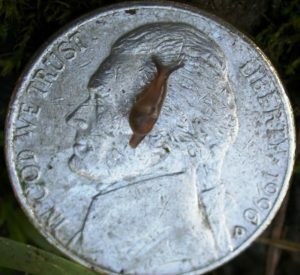 Prevention and control of Rat Lungworm Disease is the topic of a presentation by Jason Dela Cruz of the Hawai‘i State Department of Health at the Wednesday, March 14, 2018, meeting of the Kona Daifukuji Orchid Club (KDOC). The meeting begins at 7 p.m. A potluck starts off the meeting and guests are invited to participate at the Daifukuji Soto Mission Hall. “Since a lot of our orchids are outside in the environment, we should be diligent in controlling conditions promoting the spread of the disease,” said Joyce Hancock, KDOC program chair. The Kona Daifukuji Orchid Club is West Hawai‘i’s oldest orchidaceae organization, with a mission to learn and foster orchid culture and promote fellowship among orchid collectors. The club meets the second Wednesday of every month at the Daifukuji Soto Mission Hall on Highway 11 at Mile Marker 114, just north of Kainaliu. For information, visit online or phone (808) 328-8375.